15 CITIES. THOUSANDS OF VOTERS. 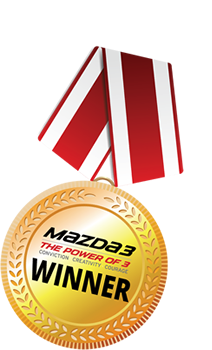 1 WINNER. See the SmartWatch in action! Hoop Tracker has already been featured in several top news articles. 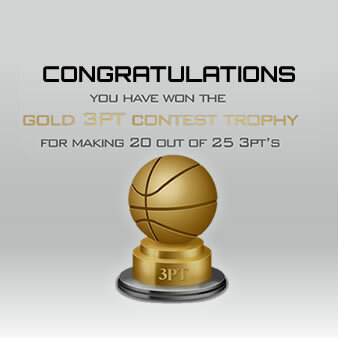 How many 3 PT’s you can make out of 25? Can you compete with the pro’s on All-Star Weekend? How many FT’s can you make out of 40? Develop this crucial skill and continually challenge yourself to beat your personal best. The name says it all…you need to extend your game beyond the 3PT line and this will help. Take 100 shots, all 3PT’s. How is it some professional basketball players are such poor free throw shooters? Our guess is lack of practice and focus. This game helps with both. One of the important aspects of any player’s game is making your opponent respect your jump shot. It’s opens up everything else. Develop your jump shot from mid to long range. A mix and match of all basketball shots. Develop a well-rounded arsenal. Just as the name would suggest. Score 100 points as quickly as you can. 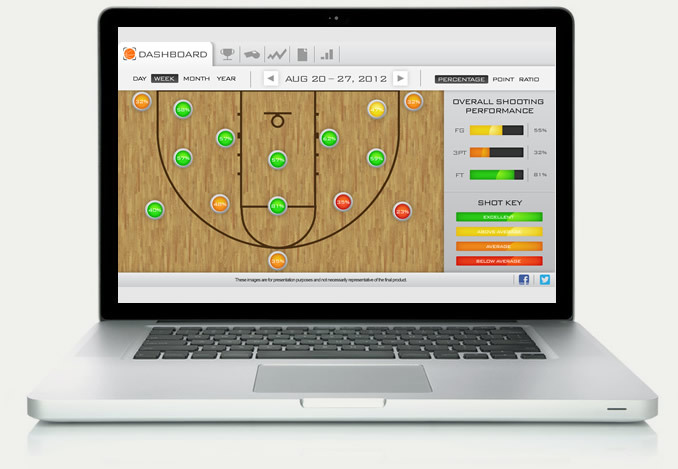 Shooting programs customized around the position you play. 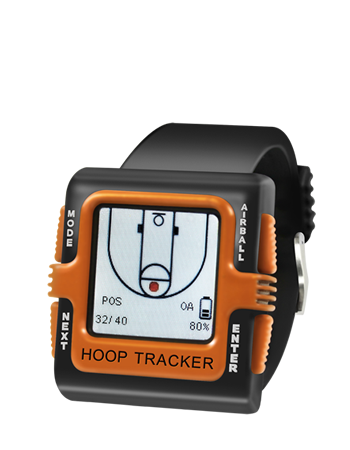 Hoop Tracker is your automaticreal-time basketball shot tracking SmartWatch. 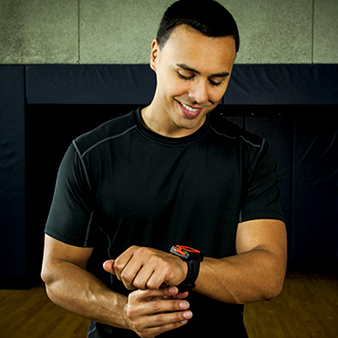 The world’s first automatic shot tracking basketball SmartWatch. 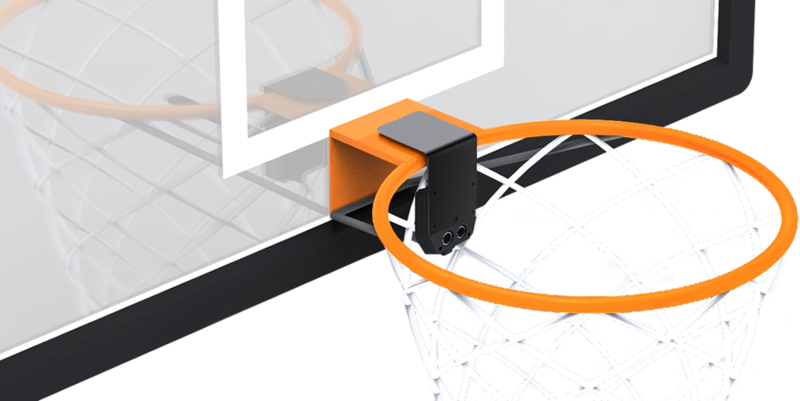 Provides real-time 3PT, FT, and FG percentages. 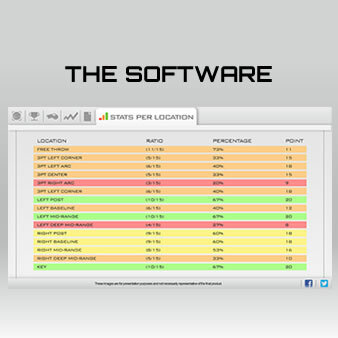 We believe quantitative training leads to more motivated, productive, and efficient athletes.